7 Days Taste of Vietnam Tour is an excellent trip to visit from Southern Vietnam to Northern Vietnam. We are offering the Taste of Vietnam tour for your enjoyment on summer vacation with your friends and family. 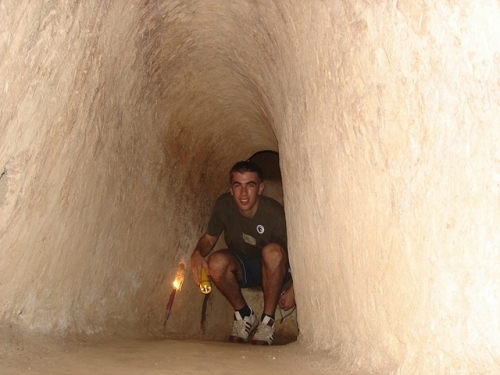 You will visit a unique tunnels system in the anti-American war in Cu Chi Tunnels and some famous destinations in Ho Chi Minh City such as Notre Dame Cathedral, The Old Post Office, The People’s Committee Hall and War Museum and watch water puppet show. 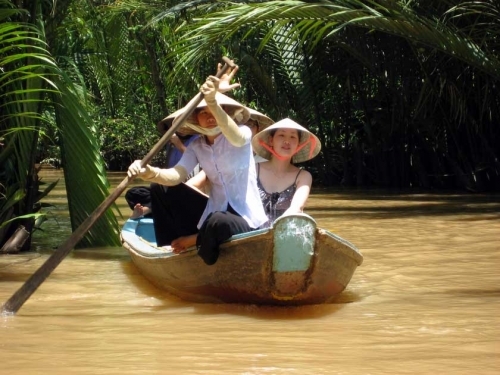 It’s perfect to visit some famous islands and enjoy the typical folk music in Mekong Delta. 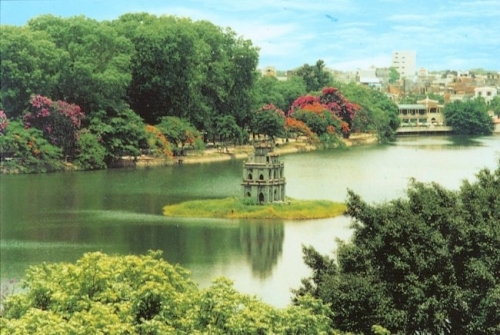 Let’s explore ancient buildings and streets and many attractive landscapes in Hanoi city with Viet Fun Travel in this journey. Furthermore, you can explore the mysterious beauty from many caves and grottoes with numerous of stalactites in Halong Bay. After breakfast at hotel, a one and half hour drive takes you to Cu Chi where human knowledge has been enriched by experiencing an web-like tunnels system of more than 200km in length which used to be the shelters of guerrillas during the war against American troops. Return to Ho Chi Minh and visit to The Hundred Years Red Cathedral (Notre Dame Cathedral), The Old Post Office, The People’s Committee Hall and War Museum. Evening: Watch water puppet show. Included: Transport in tour, English speaking tour guide, breakfast, lunch, entrance fees, 01 Aquafina water bottle/pax/tour, water puppet show and accommodation. Excluded: Dinner, gun shooting, travel insurance, tip and personal expenses. 08.00am We will pick you up at your hotel and depart to Mekong, board a wooden motor boat to Unicorn Island. On this boat along the river’s bank, you’ll be passing through natural creeks and quiet villages and watch rural people going to work. You will see an interesting fishermen's port, stilt houses. One of the boat’s stops during this trip is at a large orchard that has many different types of tasty tropical fruits for your enjoyments. After that we’ll take you to a village where you can smell the flavor of coconut candies being made many yards away. This is a great chance to witness how village people make candy and handcrafted items from coconuts. You might learn that those people can amazingly make dozens of useful products out of coconut trees. As your journey ends and drop you off at your hotel. Included: Transport in tour, boat trips, English speaking tour guide, entrance fees, breakfast, lunch, 01 Aquafina water bottle/pax and accommation. Depart at 8:00 am from your hotel by van or private transport. We will begin our day by visiting Uncle Ho, learning about his great life at the Ho Chi Minh Mausoleum, Presidential Palace, and his residential place, One Pillar Pagoda. Next stop is the nearby Temple of Literature. The site of Vietnam's first University, built in twelfth century, to teach the royals the Confucius theory. Here we will also have a chance to see a traditional music performance. Lunch will be served at a local restaurant. In the afternoon, choose one from the numerous museums or temples around Hanoi (Museum of Ethnology, Women's Museum, History Museum or Quan Thanh Temple). A late afternoon walk around Hoan Kiem Lake and Hanoi's fascinating Old Quarter for some great fun, shopping, and street side traditional food. This is your chance to be part of typical Hanoi a style and its traditional Vietnamese culture. You will back Hanoi. Sleep at hotel in Hanoi. Included: Transport in tour, English speaking tour guide, entrance fee, 01 breakfast at hotel, 01 lunch, 01 Aquafina water bottle, car transfers to airport and accommodation. Excluded: Dinner, travel insurance, tip, personal expenses and air ticket: Saigon - Hanoi. 08.00- 08.15: Pick up at your hotel and depart for Ha Long city. 14.45: Visit Surprising Cave (the most beautiful one in Halong Bay). 15.45 – 18.15: Enjoy an hour or more kayaking through slide rock cliffs before swimming (weather permitted). 19.00 – 20.30: Enjoy a specially prepared dinner in a romantic atmosphere. 21.00: Evening activities – enjoy movie night, board games, and squid fishing or relax at leisure. Stay overnight on junk. 15:45: Visit Surprising Cave (the most beautiful one in Halong Bay). 16:45 – 18:00: Enjoy an hour or more kayaking through slide rock cliffs before swimming and joining some competitions for prize and fun, on white sandy beach (weather permitted). 18:00 – 18:45: Board back the Cruise, take shower and enjoy special cocktail party on the sundeck before dinner time. 21:00: Evening activities – enjoy movie night, board games, Karaoke singing and squid fishing or relax at leisure. Stay overnight on junk. Included: Transport in tour, English speaking tour guide, entrance fees, 01 breakfast at hotel, 01 lunch, 01 dinner, 01 Aquafina water bottle and accommodation. 07.15: Have breakfast. Continue the cruise through Halong Bay. 12.00: Sail back Halong pier and take a van or private transport back to Hanoi. 07:45: Have better breakfast than Superior & Deluxe Types. 08:30: Start cruising to visit Van Gia floating village and passing by Halong Pearl Farm. 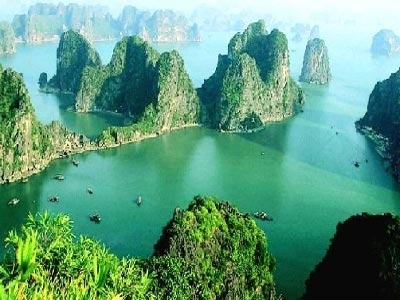 09:30- 10:00: Keep cruising to visit Halong bay. Enjoy the cooking course after you pack your things and leave the cabin. 11:30 – 12:00: Sail back Ha Long pier, have a lunch and take a bus or private transport back to Hanoi. Included: Welcome drink, transports Hanoi – Ha Long – Hanoi by transport, accommodation on board: Luxury & safe en-suited cabin with A/C, hot water, one lunch, one breakfast, Kayaking, entrance fees, insurance on junk, English speaking guide. Transfer you to the International airport. Finish Taste of Vietnam Tour - Intrepid Travel Taste of Vietnam. Included: Breakfast at hotel and car transfer to airport. Note: You can enjoy some famous specialities on Indochina Junk or Bonsai Cruise in the evening. Especially, you will have an opportunity to explore the unique beauty of Ho Chi Minh City on hired motorbikes and enjoy great dishes from snails in small diners. Let's contact us to get more information for your enjoyment in Ho Chi Minh City. 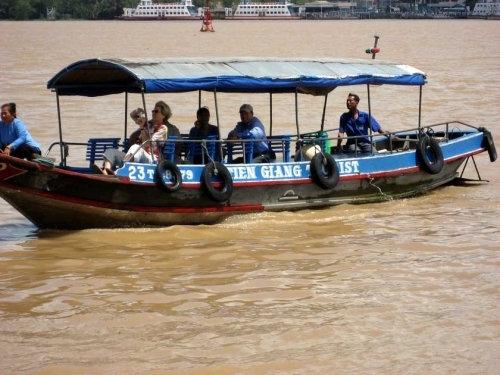 Transport in tour, airport transfer and boat trips in Mekong delta. Entrance fees, water puppet ticket. 06 breakfasts, 05 lunches and 01 dinner. Tip, travel insurance and personal expenses. Air ticket: Saigon - Hanoi (please choose "air ticket" part when booking this trip).